Do all your staff suddenly apply for leave when you mention stocktake? That’s because you’re not using zapMYstock! 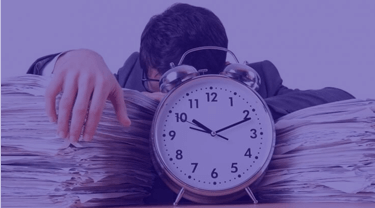 You won't believe how quick and simple a stocktake can be. zapMYstock loads the inventory data that's already in your business software into a portable barcode terminal like the Casio DT-X200 or Denso BHT-1300, which is then used to count your stock. Data input errors are eliminated so you'll have an accurate record of your inventory levels. All you need to do is to decide which version is right for you. zapMYstock is an innovative program, easy to learn and easy to use. It has been designed with the user in mind, knowing that not everyone is comfortable with using technology. zapMYstock comes in a number of versions so you can select the one suited to your needs as well as choosing the portable barcode terminal having either a Windows® or Android® operating system. There is even a model which comes with its own proprietary operating system. Stocktake is a necessary part of any business - it's an important process to maximise loss prevention and to compare the level of stock on hand with the stock on record. But it's usually a difficult and tedious job. Do you find that your staff start asking to go on annual leave when you mention that it's stocktake time? You might be using an accounting or business software package to run your business, a full featured ERP or even just simple spreadsheet software. Whichever way you work, let us take some of the stress out of your stocktake with zapMYstock. 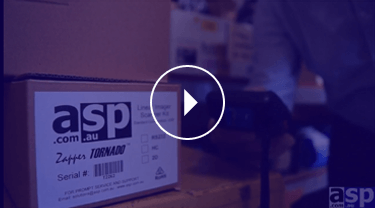 zapMYstock uses barcodes, a portable barcode scanner and a simple, user-friendly interface to help you count your stock, reducing the time and effort you’ll expend with this essential business process. Conducting stocktake the traditional way with manual count sheets, can be difficult, time consuming and does little to stop natural human error. Efficiency is the key to good stocktaking. With zapMYstock, all you need to do is click on a few buttons on your PC to create a stocktake list from your inventory items. Using a portable hand-held barcode scanner such as the Denso BHT-1300, you take your scanner around and scan the barcodes on your stock. When you're finished counting, simply load the stocktake list back into your computer and then view the differences. Contrast that with the traditional process of printing stock count sheets and then manually collating the sheets and adding up and entering stock counts. 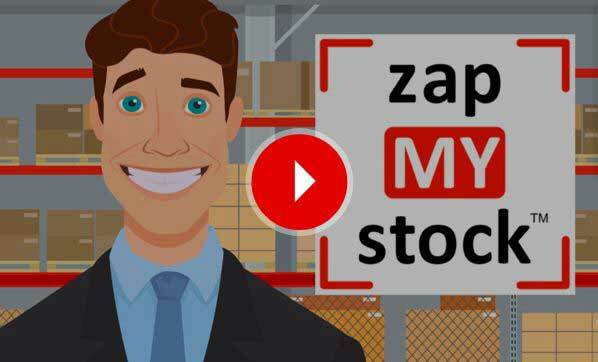 The difficulties of a traditional stocktake disappear when using zapMYstock. It reduces the stress of having to complete this task manually and collecting data on paper. By making stocktaking more efficient, zapMYstock reduces your time and labour expenditure, increases stock accuracy, lowers the cost of administration and allows for your business to conduct stocktakes more often with fewer errors and incorrect data analysis - the list of advantages of using zapMYstock just goes on! zapMYstock is a simple to use barcode-based solution that links directly with your existing system. We even have a label printing program for those items that don't already have their own barcodes. Whether you need a little extra help in managing your stocktake, want a cost effective solution to your stocktaking problems, or simply want to update to the latest technology, ASP Microcomputers has the solution for you with zapMYstock. This is the most powerful feature of zapMYstock where you can load your entire lookup file with descriptions and part numbers into the barcode terminal. All your stock information is available in the palm of your hand as you walk around and stocktake. There are a number of versions of zapMYstock depending on your requirements, including the entry level Basic version. zapMYstock is a bundled hardware and software solution which also includes ability to print barcodes. When we design software we always put ourselves in the shoes of the user knowing they’re not always comfortable using technology. Single screen menu with one touch stocktake is built in. Users will be stocktaking within minutes of getting it in their hands. While we do everything we can to make sure your product is operating at the standards you expect for as long as possible, sometimes things do go wrong. We have a dedicated support desk ready to assist with any question you have. We an authorised repairer providing fast turnaround times for when your hardware needs attention. Our coding is done in house, we don’t outsource one line of code. We have a rigorous design process which makes our software easy to use and reliable. The preferred hardware of choice has been carefully selected to ensure it can withstand the treatment usually encountered while stocktaking as well as being lightweight and ergonomic so you can comfortably scan all day. Various models are available depending on your budget. All models come with a 12 month return to base warranty. Depending on the model some come with a 36 month warranty. Either way you have peace of mind knowing your investment is covered. Any dedicated barcode reader should be able to scan all day [at least a shift] on a single charge. Depending on the model chosen some have extreme battery life of up to 200 hours usage. How often have you read a user manual on a product and at the end feel like you’re no better off in understanding how it works. Our documentation is of the highest standard written with simplicity and clarity at its foundation built on years of understanding people and their requirements. The result is a low cost, simple to use family of stocktake solutions that works with most Business, Finance, Spreadsheet or ERP software.Download your free one month trial of zapMYstock. We won’t even charge you or ask you for your credit card details, but we will need your email address to send you the download links.After a month and you decide to purchase the zapMYstock solution we will give you our barcode label printing software for Windows® called Label+™ valued at $650 for free, yours to keep and use for printing your barcode labels using your desktop printer. Why do I need to do a stocktake? The simple answer is that you need to do stocktakes to make sure that your business is operating profitably. Your stock (which can also be called your inventory) is basically anything that your business makes or buys to sell or trade, or changes into other products or goods for sale or trade. Stocktaking involves physically counting all of your stock so you can find out exactly what you have, and its value. An annual stocktake is an essential part of inventory control and it's the best way to keep track of your stock. Once you've counted your inventory, you can compare it to your previous stocktake, which lets you see which of your products are selling, and which are not. A stocktake will also identify lost, stolen, or damaged items, which you may be able to write off as a loss. Stocktaking can help you to identify stock control issues and areas of your business that need to improve in order to be more profitable. In the day-to-day running of your business, you can easily lose track of which products are winners and which products you could probably do without. Nothing brings your finances into focus like a good stocktake – it's a great opportunity to analyse your sales and profits and revise any pricing strategies that aren’t generating maximum profit for you. There are two parts to a stocktake – the physical counting, and the analysis. Yes, you could count your stock and record the counts on sheets of paper, and some businesses still do, but it can be stressful and very labour intensive, and until you enter the counts into a computer, you won't be able to analyse it properly anyway. With paper stock count sheets, you need to go to each stock item, write the item code or description down on the sheet, then count the items and write that count onto the sheet. Then, you need to take the sheets back to a computer, and enter the item codes and counts into your accounting program (like MYOB or QuickBooks) or perhaps into a spreadsheet. Does that sound like much fun to you? The alternative is to use a barcode scanner. Most items nowadays have a barcode label on them already, but even if your products don't, you can easily make your own labels with a computer, a laser printer, and pre-cut laser label sheets, and attach them to your products. There are two main types of barcode scanners – devices that connect directly to a PC (or notebook) via a cable or Bluetooth, and self-contained portable battery powered units with their own display and keypad. With the first type of barcode scanner, you scan the barcodes on your stock directly into your accounting program or spreadsheet, then type in the count. With the second type of barcode scanner, you take a small handheld device around with you, scanning barcodes and typing in quantities on the barcode scanner itself, then bring the barcode scanner back to your computer and download all the collected stocktake information into your accounting program or spreadsheet. With this type of barcode scanner, each person conducting the stocktake would have their own barcode scanners, which will allow the stocktake to be finished much sooner. Your business records could be as simple as a paper notebook where you record each item you sell. Or, you could be using a spreadsheet that you've developed yourself, or a Quicken, Reckon, or MYOB small business accounting program, all the way up to a full ERP (Enterprise Resource Planning) system, or a WMS (Warehouse Management System). Whatever you're using, you need a system of inventory control. And inventory control starts with a stocktake. As we've described above, the biggest time and effort saver when stocktaking is collecting the stock counts electronically, and this usually means using barcodes. Barcodes are most easily read with a barcode scanner, and these can scan barcodes directly into a computer, or a shelf, row, or even a whole warehouse of scans and counts can be collected and then brought back to a computer. If you are keeping your business records on a spreadsheet on a notebook or PC, a stocktaking system might consist of a barcode scanner that plugs directly into the computer, and allows you to scan the item barcodes directly into the spreadsheet, then type in the count on the notebook or PC's keyboard. This system has the disadvantage that you need to bring the notebook or PC to the stock. A step up from this simple solution would be to use a portable barcode scanner, which you take to the stock, scan the item's barcode, then count the items and enter the count into the portable barcode scanner. After you've finished the stocktake (or a section of it), you bring the portable barcode scanner back to your notebook or PC and download all the collected data into your spreadsheet. If you're using a small business accounting system, the barcode scanning options are pretty similar to the previous paragraph, except that many of these accounting systems don't provide an easy way to import stocktaking data into the accounting system. Usually, stocktaking with these systems will involve downloading the collected stocktaking data to a text file on the computer, then using the accounting program's import functions to bring the data in. Or, sometimes the supplier of the barcode system will provide a custom program that directly downloads the stocktake data from the barcode scanner into the accounting system. Full blown ERP or WMS systems are usually similar to small business accounting systems as far as bringing the stocktake data from the barcode scanner into the system. Once the stocktaking data is in your accounting system, you will be able to generate reports and analyse the data. You'll be able to see how many of each item you've sold, whether there's anything missing (ie the difference between the stock count and how many items the computer thought you had), and lots of other useful information. The first place to start is ASP Microcomputers! Talk to us about your requirements and we will be happy to discuss the options available that will meet your needs and your budget. Before you start your stocktake, it is important to have a plan of action. Will you be counting all your stock at once? Will you be taking stock from your shelves to fulfill your customers’ requirements while the stocktake is in progress? It is also important to know at the onset what you will do with your data! If you are using an accounting or ERP system, you want to ensure that the data is available in the correct format and structure. Have a chat to our friendly staff at ASP Microcomputers and we’ll be happy to steer you in the right direction, so that your stocktake will be a cinch (and maybe even a little enjoyable!). It’s not necessary that each item in your stock has a barcode! You may wish to only label shelf or bin locations with barcodes to identify the stock that is being stored there. Once the barcode is scanned, just count the number of individual items and register that count in the scanner. Ultimately, the purpose of a stock take is to ensure the quantities of items you have at hand match with your records and expectations. While there are some items which may not need to be included in a stocktake, it is always the option of staggering the count so you do not have to count all of your inventory in one go. Other than printing the barcode labels, which will be on paper, if you intend to do it totally paperless then yes you can. It depends on your process. For example you may want to use barcode sheets containing the item barcode and location barcode rather than scanning the actual item or location barcode which could be damaged and difficult to scan. Do you want to generate a variance report and check the items yourself knowing there wont be too many and you don’t have access to the barcode terminal? You may be more comfortable using paper in some cases as it’s the first time you are using software to do it. It really depends on you but yes it can be totally paperless. There are various modes and frequencies of conducting a stocktake such as daily, weekly, monthly or annually. If you are doing more frequent stocktakes then typically you don’t need to close your doors but you do need to close off the stock you are counting to ensure you get an accurate count. For those who undertake a stocktake annually, which is typically as close to the end of the financial year as practicable, then it is usual to lock down the stock and cease the movement of stock coming in or going out. Using an automated system such as a portable barcode terminal and stocktake software will dramatically reduce the time to conduct the stocktake and therefore saving you money in areas such as labour costs. The return on investment [ROI] on the stocktake solution will be quick. Yes. Any number of people can stocktake and depends on how much stock you are counting and how quickly you want or need to complete the stocktake. Each person can be assigned a section or isle or category or even time, it depends on how you want to manage them. It’s important for your software to be able to allocate the stock to be counted by the respective person and for the count to be uploaded to the PC from each of the barcode terminals. Once you have counted an item which could be in its own location or in a bin containing multiple items then it’s standard practice to mark the item or bin with a bright visible sticker to indicate it has been counted. Also if you are using an automated system and barcode reader ensure that the software has a function to indicate that the item has already been counted. Stocktaking may seem like a simple process but there are a lot of catches which can end up taking you more time to fix if your software hasn’t been thought through. Considerations when choosing dedicated stocktake vs smartphone apps is: i. Is the application well documented so you can determine it will do everything you need it to ii. Is there someone you can talk to if you have any questions iii. Can you see a demonstration of the software or even be able to trial it yourself iv. Where is the company supplying the software located Then there’s the hardware. Is it a phone or is it barcode reader! Barcode terminals are specifically designed to read barcodes. They are lightweight, ergonomic and above all rugged to be able to handle the situations usually encountered on the shop floor where they may be dropped from a height or treated just how they should be – like a tool. 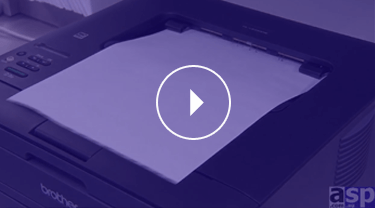 The most important consideration is the scanning performance. A smartphone can scan via the camera and requires precise alignment and focus and often takes seconds to scan where a barcode terminal can scan hundreds of barcodes ever few seconds, and although your fingers aren’t that quick it is extremely fast compared to a smartphone. What versions of zapMYstock are available? Click on the links below to open the pages for the currently available versions of zapMYstock. zapMYstock for MYOB zapMYstock Essential zapMYstock Basic If we haven't listed the version you need, just give us a call. Talk to one of our special stocktaking solution specialists today!